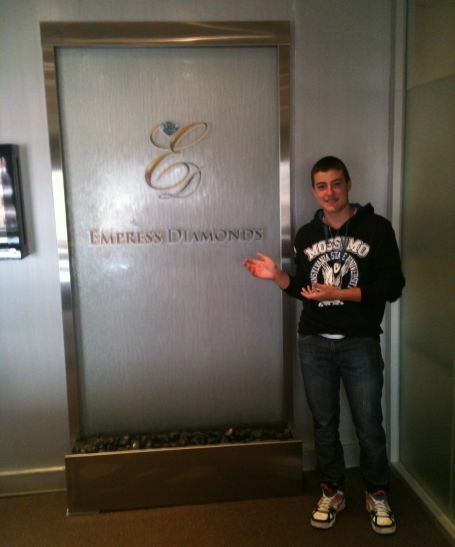 This beautiful floor water fountain compliments the showroom of EMPRESS DIAMONDS Swanston Street, Melbourne. Stainless frame and logo design on clear glass, contemporary freestanding fountain that will leave your guests in admiration. offering a truly unique, eye-catching water feature.